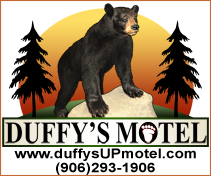 Oswald's Bear Ranch welcomes groups to come and explore this great Upper Michigan Tour Bus Attraction. 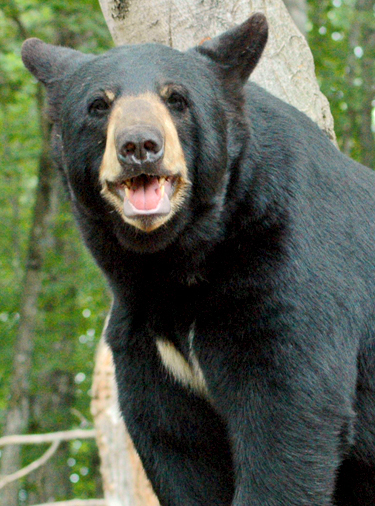 Oswald's has 40 live roaming bears that dwell in 2 huge habitats along with 2 additional habitats. We have a snack shop and great souvenir shop. This is a healthy walk-about and we are handicapped accessible. 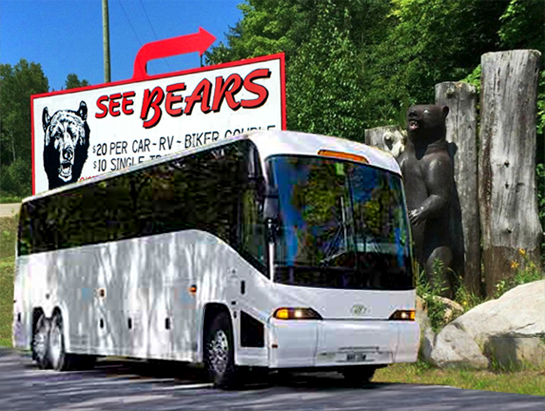 Oswald's Bear Ranch is one of the best Upper Michigan Tour Bus Attractions for groups of all sizes. We have a newly enlarged spacious parking lot that can easily accommodate your UP tour bus. We also offer a great educational experience for visiting youth through our, "Free School Bus Field Trips". We educate the children about our rescued cubs, raising cubs to grown bears and the care needed to protect black bears and their environment. ♦ Click here to visit our Contact Us page to schedule a visit.